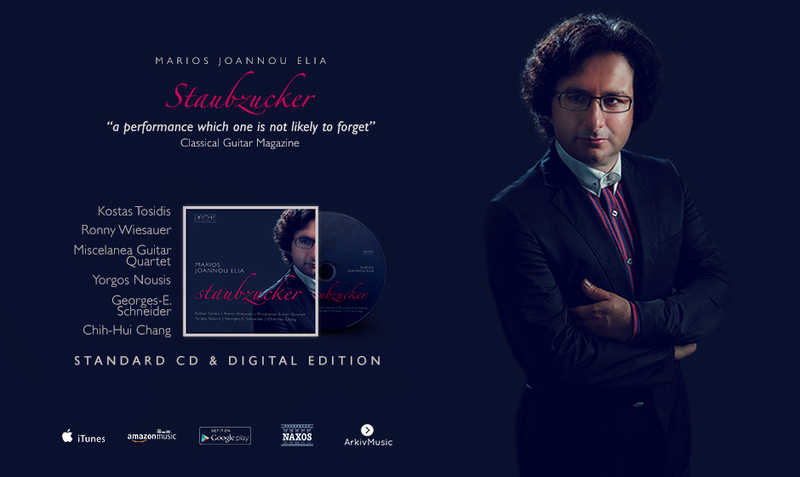 I’m delighted to share with you the new offering from composer Marios Joannou Elia. With a line-up of fantastic artists and instrumentation ranging from guitar, electric guitar, strings, to guitar quartet this album provides a wealth of ideas and soundscapes for the listener. I particularily love the guitar and electric guitar duo which I found so deliciously deceiving from a timbral and sonic standpoint. Take a look at the promo video below to hear some excerpts from the album. Also of interest, there is a significant essay titled Marios Joannou Elia’s Music for Guitar (quartet way down the page) by Dr Vera Grund, University of Salzburg. Staubzucker by composer Marios Joannou Elia is an album filled with fascinating soundscapes and a wealth of compositional ideas. 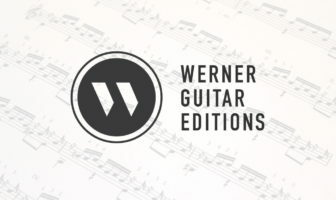 It explores the sounds and the endless possibilities of the guitar in chamber music making it a very significant contribution to the guitar repertoire. 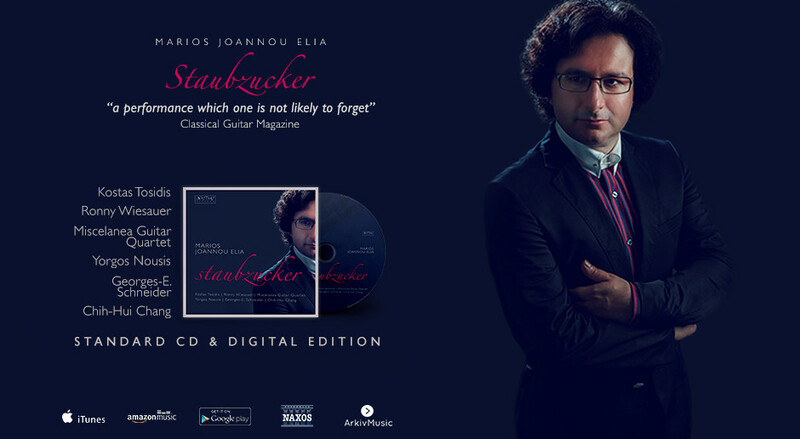 The music on this recording is performed by virtuoso musicians who over many years have worked extensively with the composer: Kostas Tosidis, a specialist in Elia’s music (guitar); Ronny Wiesauer (electric guitar); Georges-Emmanuel Schneider (violin); Chih-Hui Chang (violoncello); Yorgos Nousis and Kostas Tosidis (guitar duo); and the Miscelanea Guitar Quartet, whose concert repertoire consistently includes Elia’s works.